Dairygold, Ireland’s largest farmer-owned Co-Operative has today announced that John O’Gorman has been elected as its new Chairman. 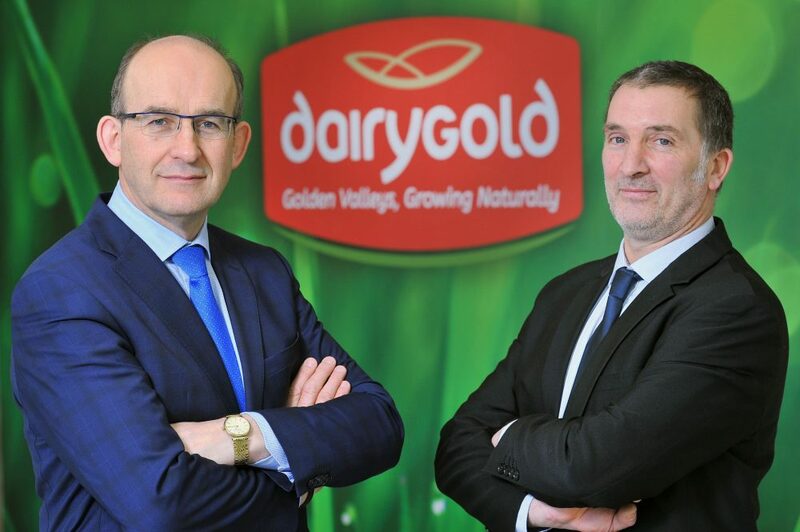 Mr O’ Gorman who has served as Vice-Chairman since 2017 replaces James Lynch who served as Chairman for three years and recently stepped down having served the maximum term permitted on the Board of Dairygold. Mr O’Gorman, from the Tipperary region was first elected to the Board of Dairygold in January 2013. Speaking after his election as Chairman John O’Gorman said: “I’m honoured to have been elected to serve as Chairman of Dairygold. It is a long-standing and ambitious organisation with a deep commitment to its members and shareholders. I am grateful to the Board for the confidence and trust they have shown in me today and to the members who have supported me over many years. I look forward to working closely with the Board, Chief Executive Jim Woulfe, staff and Dairygold’s Members. “I would like to also pay tribute to my predecessor James Lynch who served as Chairman with great leadership and stewardship over the last three years. John O’Gorman and his wife Alison have three daughters and live in Clogheen, Co Tipperary. John holds a Bachelor’s degree in Accounting and Business Management and a Diploma in Corporate Direction, Food Business from UCC. The position of Vice-Chairman will be filled at the next meeting of the Dairygold Board. Dairygold is Ireland’s largest farmer-owned Co-Operative with 7,100 Shareholders, 2,900 milk suppliers and 1,250 staff working across its sites in Ireland, the UK, Germany, Spain and China. In 2017, Dairygold processed over 1.3 billion litres of milk from its Members.